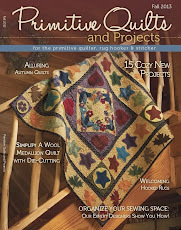 I finally have a few minutes to sit down and write a recap of our trip to Portland, Oregon for the Spring 2013 International Quilt Market. 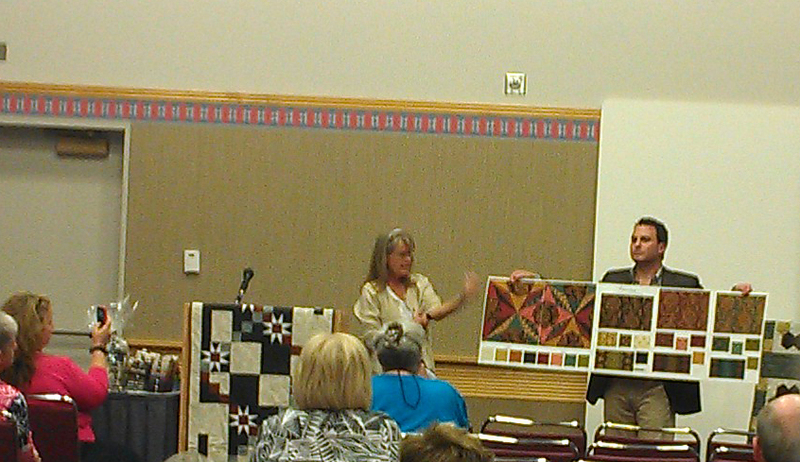 I was lucky to have my husband, Thom, along with camera in hand to capture some of the moments of the trip. 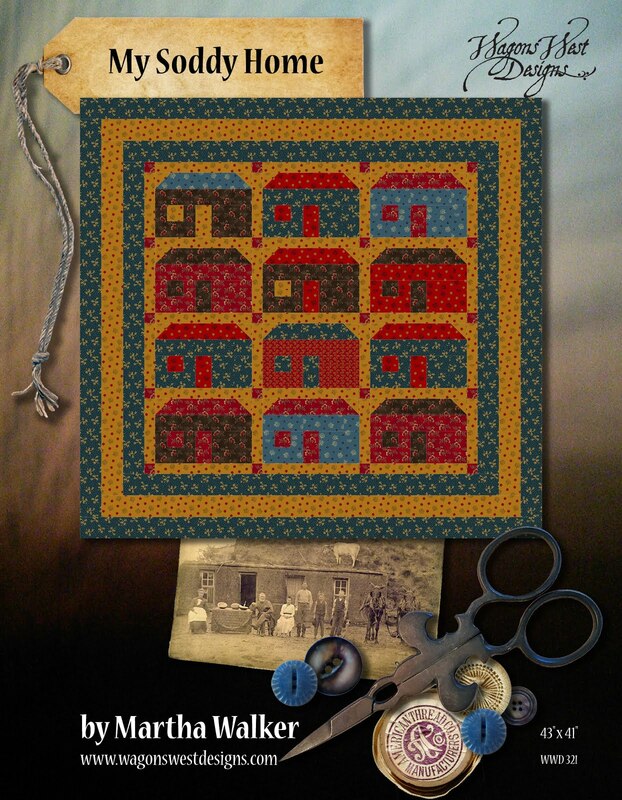 And, of course, he did so much more than take pictures. 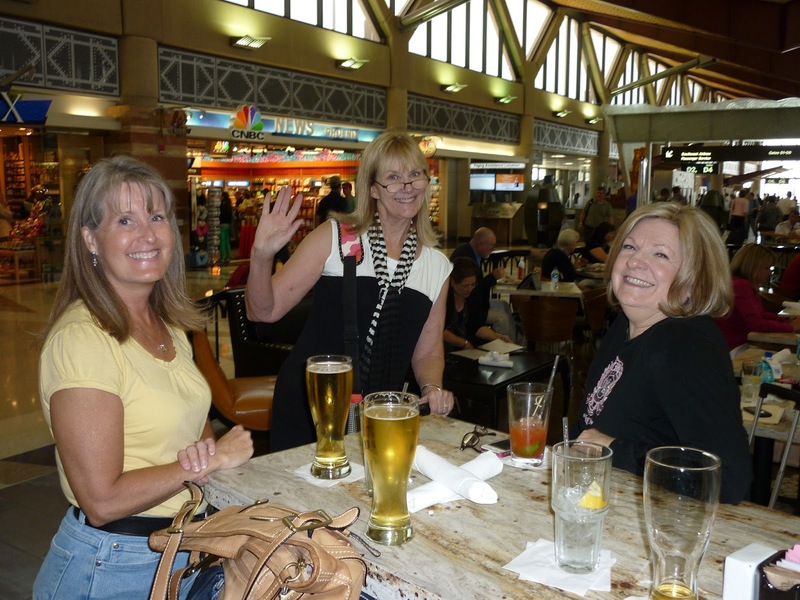 We left Phoenix on Wednesday before Market, and it was fun to run into Nancy Shamy and Cindy Oates, two fellow designers, at Sky Harbor airport. 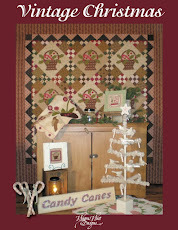 Cindy's company, of course, is Taylor Made Designs, and she has been a pro at the business for over 20 years. 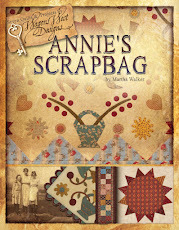 This was Nancy's first market for the inauguration of her new pattern business, Kenzie Mac & Co. 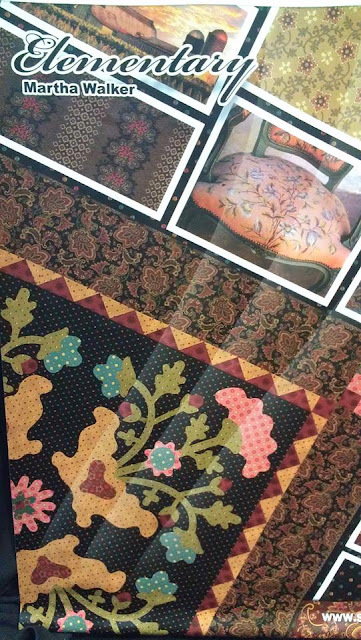 The next day I was able to start showing the prints from my new fabric line, Elementary, for Studio e Fabrics, at a morning Schoolhouse for quilt shop owners. 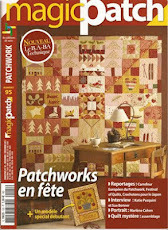 What a thrill, after nearly a year of hard work developing the line with Studio e! 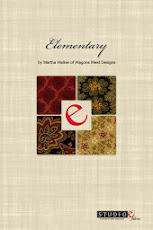 The quilt on the banner is one of the quilt patterns I designed for the Elementary line. 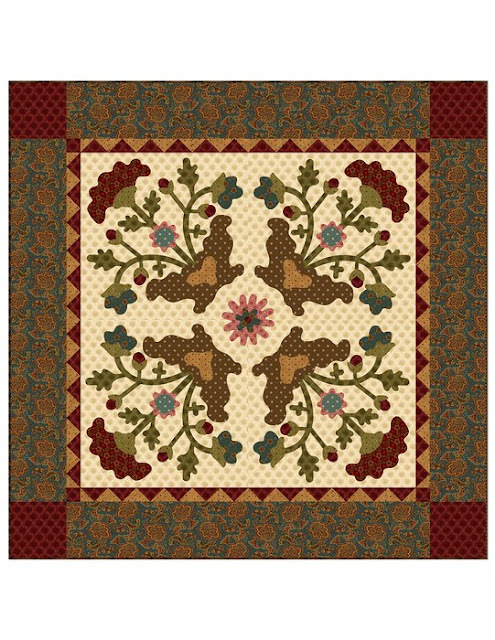 Here is another version of the quilt -- the instructions for making the quilts will be found on the Studio e Fabrics website soon. 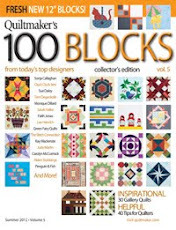 One of my booth neighbors at market was Quiltmaker, and I was so excited to see my block "Simple Life" from Quiltmaker's 100 Blocks Volume 7 magazine framed and hanging in their booth. 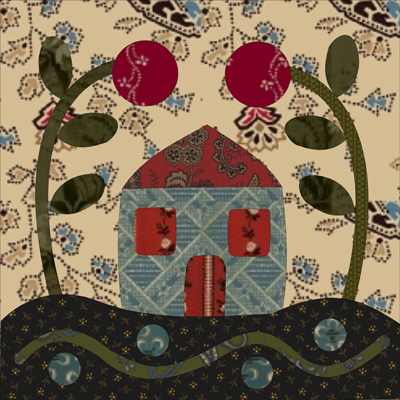 I have more to share, but it will have to wait until another day! 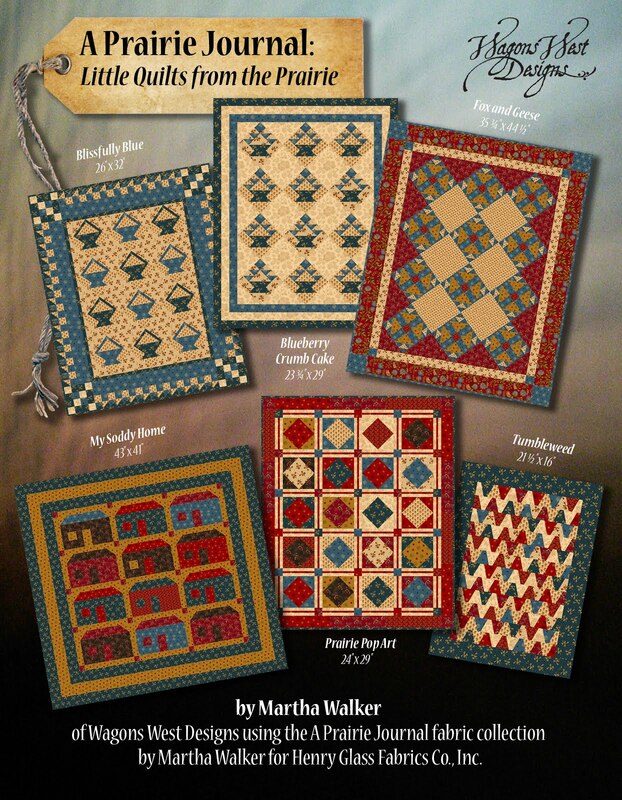 Thank you to all of you for your comments. 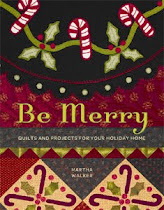 I truly enjoyed reading about the color combinations you would use for your own version of Simple Life! 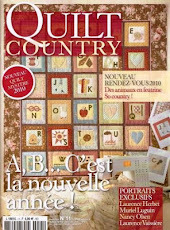 And the winner is #207 - Jodi. 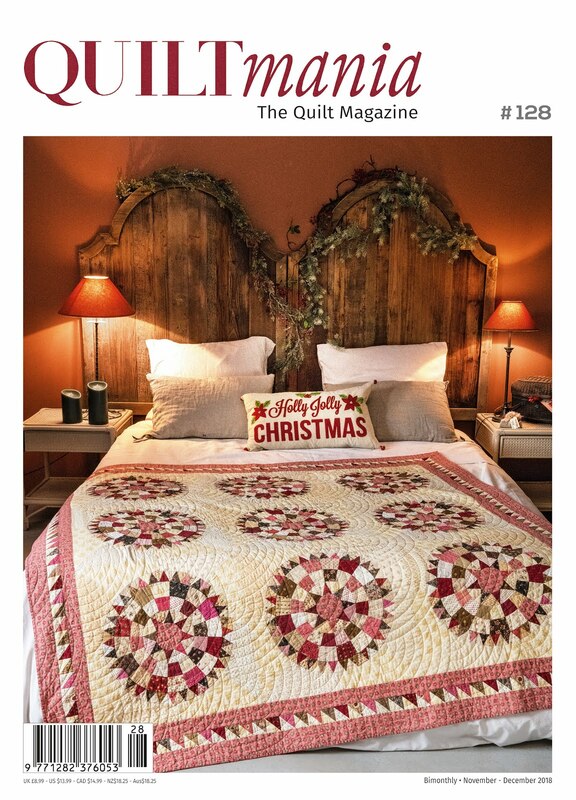 Congratulations, Jodi! 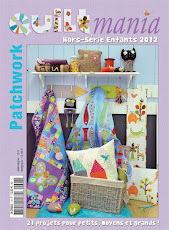 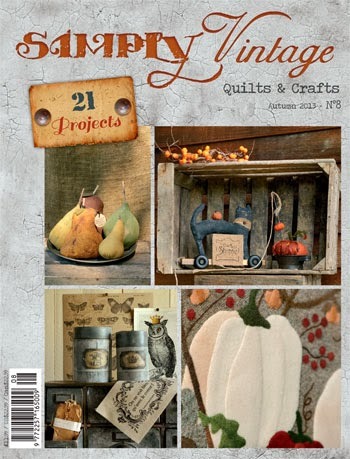 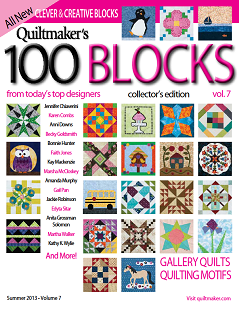 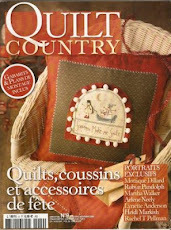 Quiltmaker's 100 Blocks Volume 7 will start appearing on your newsstands tomorrow! 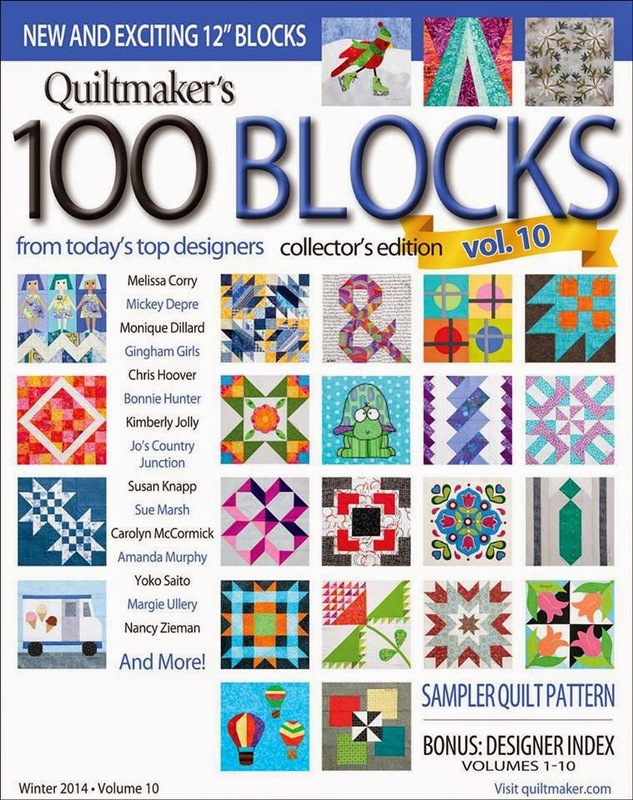 Quiltmaker's 100 Blocks Volume 7 Blog Tour! 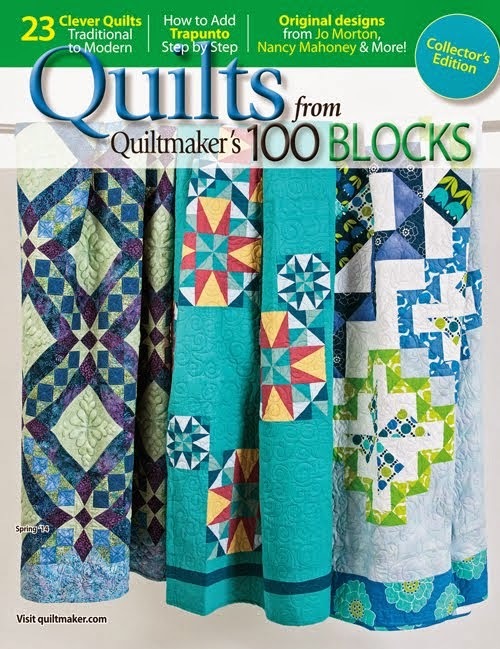 Hello, and welcome to day 3 of the Quiltmaker's 100 Blocks Volume 7 Blog Tour! 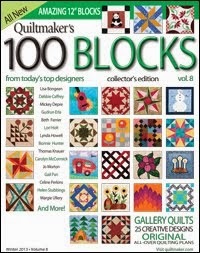 It has been my great pleasure to be a part of the Quiltmaker's 100 Blocks series since it's inception. 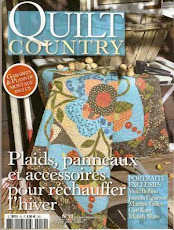 Here I am for the fifth time and on the cover too! 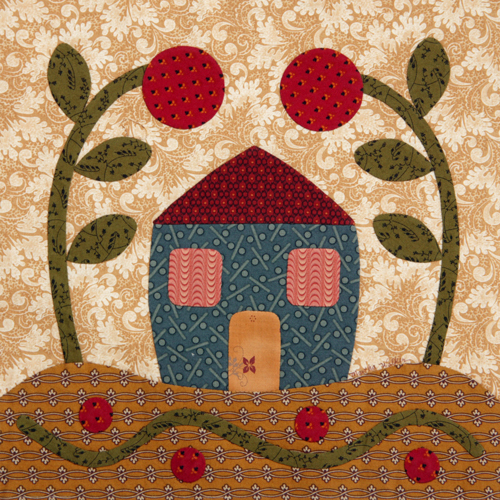 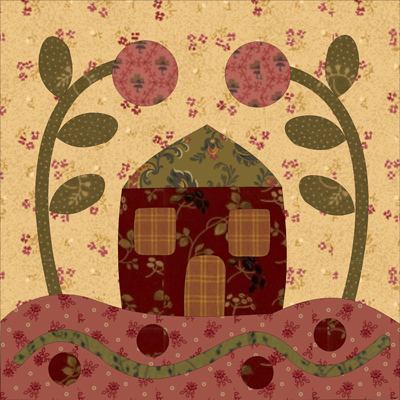 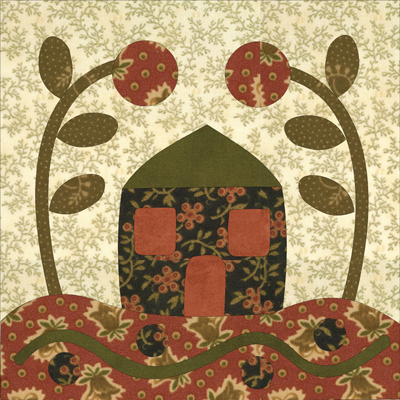 My block is "Simple Life" and it's all applique! 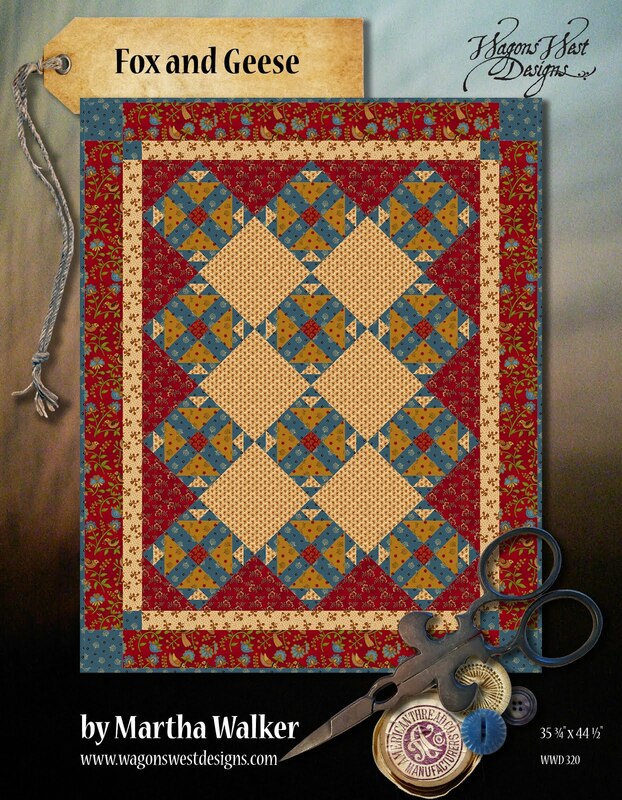 I thought it would be fun to show you some different color options for Simple Life. 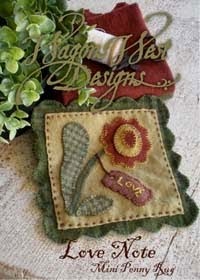 How about using orange, black and green for Fall? 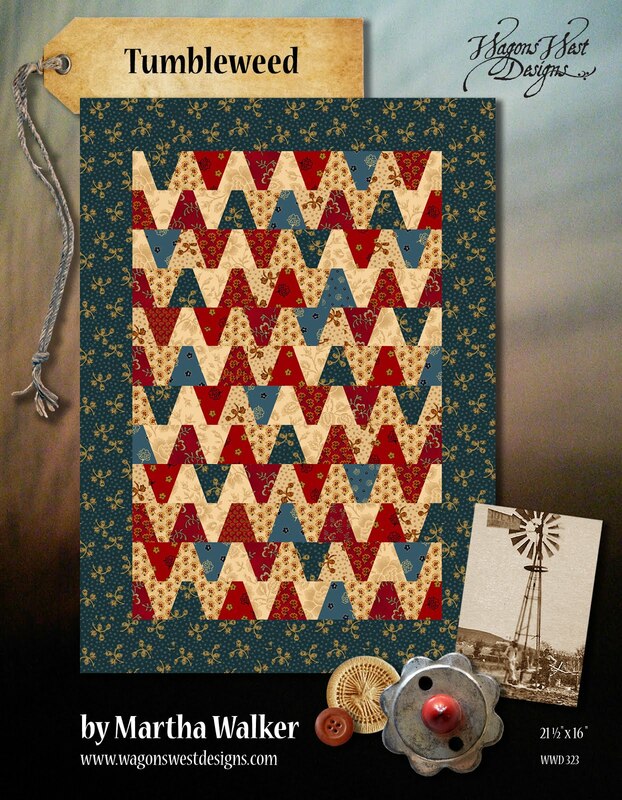 ....Or, blue, black and red. 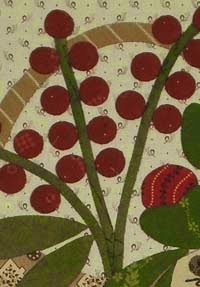 And finally, how do you like pink, red and green? 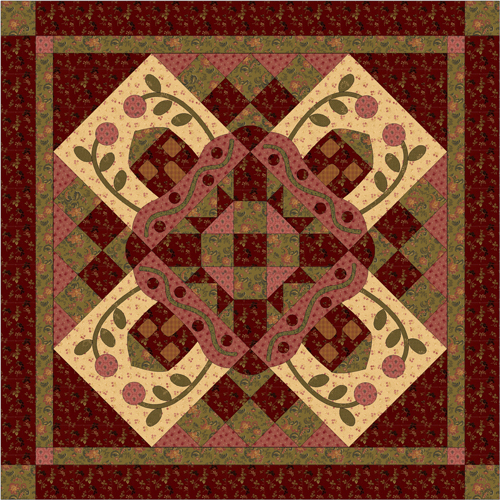 I took the last color scheme and drafted this table or wall size quilt using four of the blocks in a diagonal set. 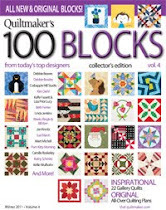 What colors would you pick to make your own Simple Life block? 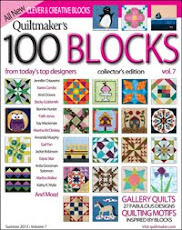 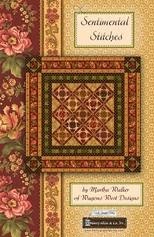 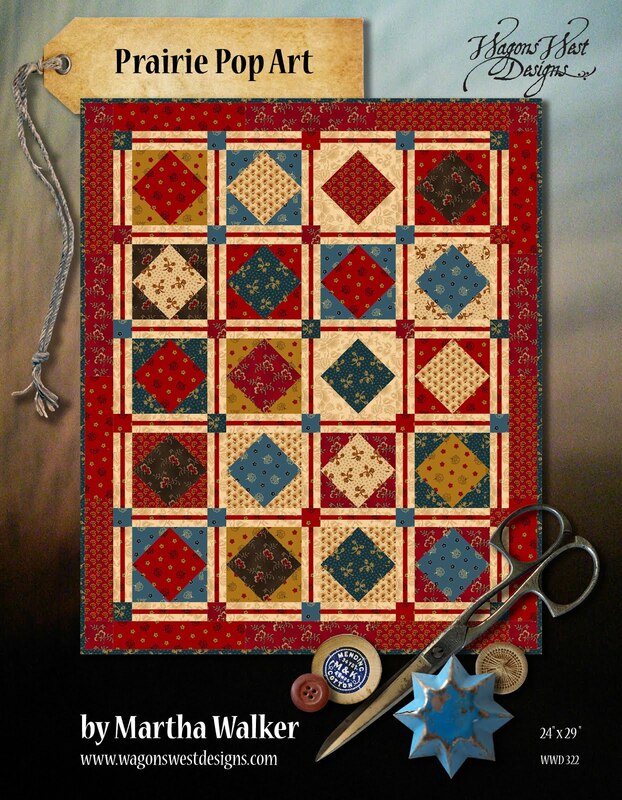 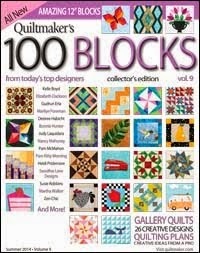 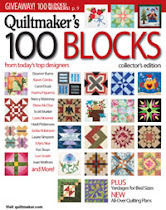 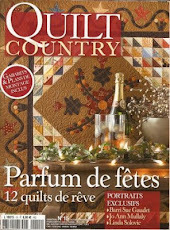 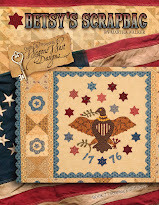 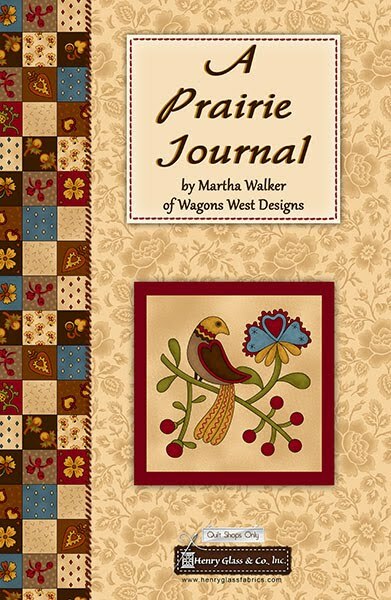 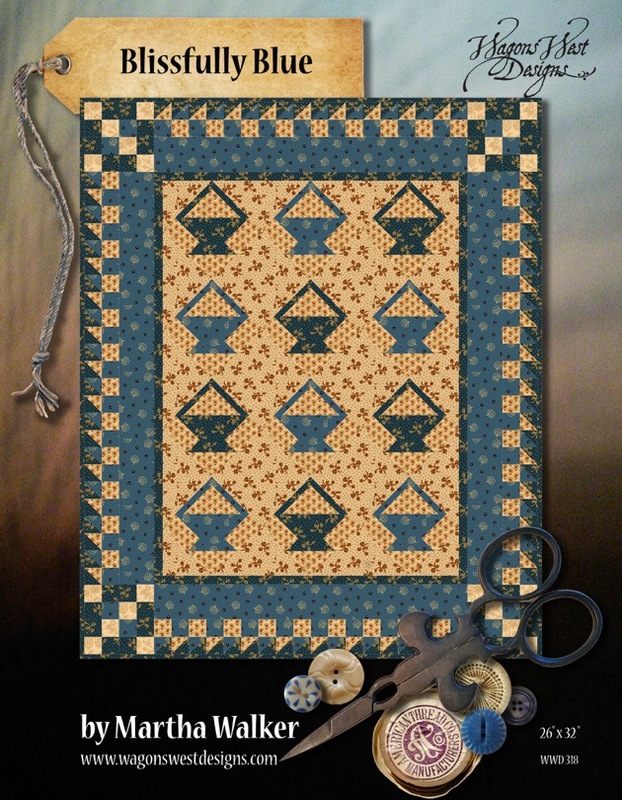 Just leave a comment here by 5 pm PST Friday May 3rd for a chance to win a copy of Quiltmaker's 100 Blocks Vol. 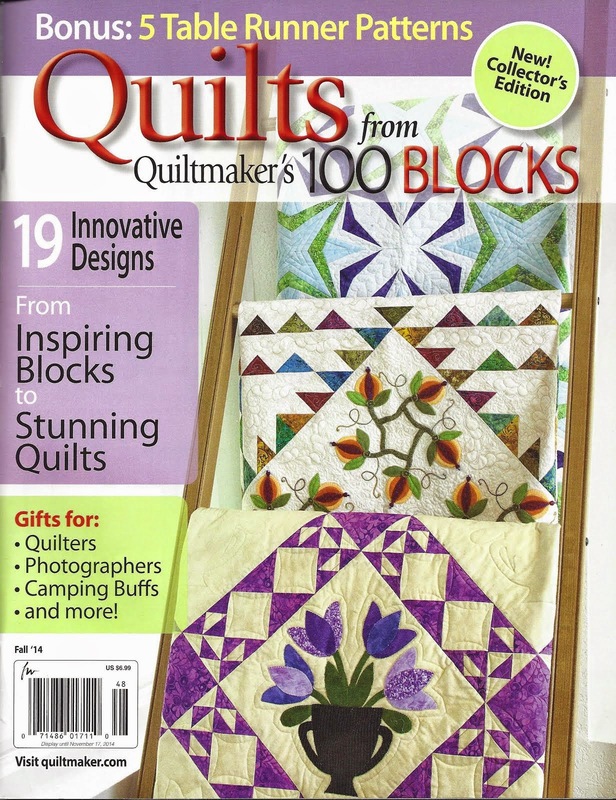 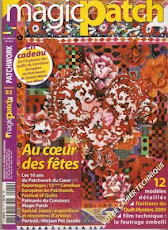 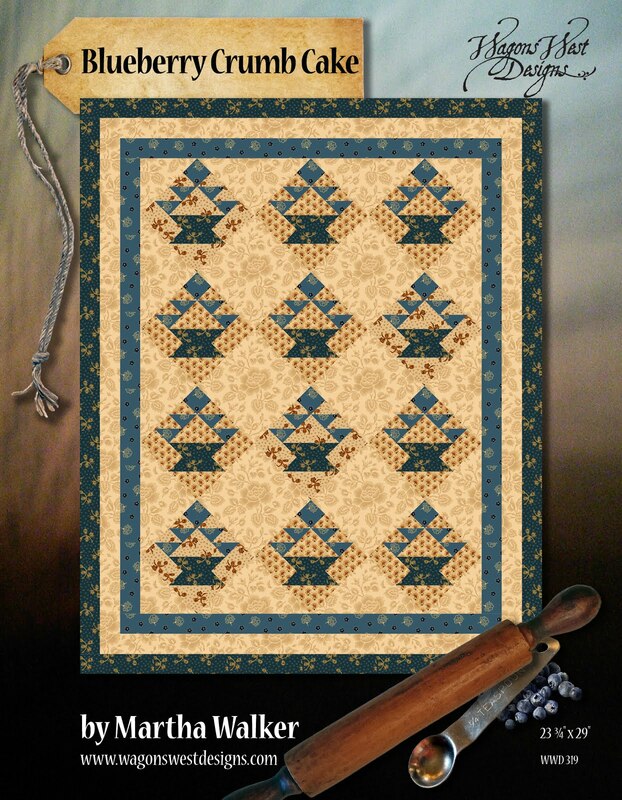 7, to be sent to you directly from Quiltmaker. 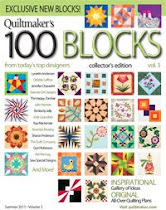 Quiltmaker's 100 Blocks Vol. 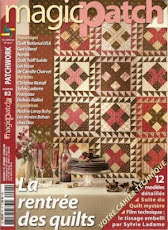 7 will be arriving on newsstands May 7. 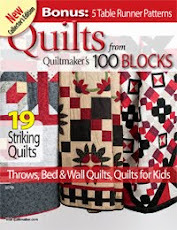 Thank you for visiting and now I'll give you a quick link to get back to the Quiltmaker blog for more touring and giveaways!